Singapore, as steel-cold and artificial as it appears most of the time, always manages to radiate a natural warmth for a nostalgic soul like me. Maybe it’s that I give too much value in it being the first country I visited besides my own. And I had been here six more times since then. Or maybe because I just feel like I somehow belong here, in the middle of the towering skyscrapers and theme parks. The truth is, every time I have a new Singaporean stamp on my passport, this small city-state never fails to surprise me. All major local airlines including Cebu Pacific and PAL Express fly to Singapore from Manila. Some even fly from Cebu, Davao, and Clark. Seair/Tiger Airways Philippines and AirAsia Philippines also added Singapore to their new destinations. For budget travelers, the main factor in choosing is, well, the budget. The best way to snag a deal is to wait for a seat sale and just grab a promo seat. The airport terminal is connected to the MRT that will take you to the city proper. You may also take a bus or taxi. Traveling to Singapore does NOT require a visa. All you need is a valid passport (with 6 months left before expiration). All you really need to do is show up at the airport and fly. However, you’ll see in my Singapore posts just how kid-friendly the city is. 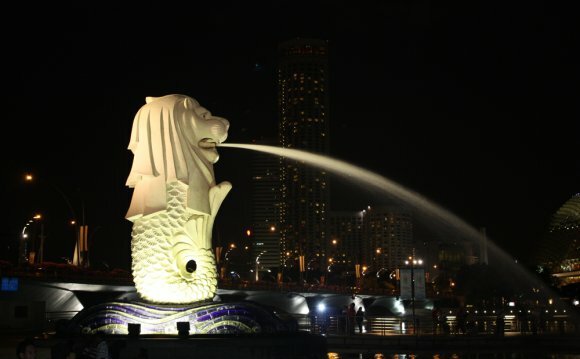 If you want to travel overseas with your kids, I will strongly recommend Singapore. This city-state just has something for everyone, even for the young and the young at heart — Singapore Zoo, Night Safari, Jurong Bird Park, Universal Studios, Snow City, to name some. For more information on how to prepare requirements for passport application (especially if you’re traveling with kids), click here. The nastiest part of preparing a trip to Singapore is looking for a cheap place to stay. Space is a scarce commodity in this city and even the cheapest hotels may still be expensive in Filipino standards. But here are two cheap accommodations that I have tried in Singapore. G4 Station Backpackers’ Hostel. The rooms are small but it was good enough given the price. It was very, very clean though and the staff was really friendly and helpful. Fragrance Hotel Selegie. It’s clean, close to the Little India MRT station, and surrounded by restaurants. Each room is equipped with cable TV, a water heater, a phone and airconditioner. Basic and cramped but completely functional. A lot! Singapore may be small but it is packed with all sorts of sites, attractions, and adventures! Whatever your reason for traveling is, Singapore has something for you. Shopping? Culture? History? Food? Nature? Theme parks? Singapore has them! Here are the points of interest in Singapore that I have set foot on. The photos will lead you to a more detailed post about that destination. One thing I like most was that Singapore is a very “walkable” city. Walkable because it’s actually a fun and rewarding experience to walk around many key areas in the city. The best part, it’s free! So I just squeezed in a lot of walking tours into this itinerary. Here’s a sample itinerary. You may use it but make the necessary adjustments. You may also add several other attractions like Gardens by the Bay, Jurong Bird Park, and Singapore Zoo. The Asian Museum is also a good place to visit. So now we have come to the list of my expenses as part of this Singapore trip. Below is the breakdown of everything I spent on in SG. As I always say, this can change based on your spending habits. I’m only sharing so you have a ballpark figure of how much to prepare here although I strongly recommend that you pad this with much allowance to be on the safe side. Taking the MRT. If you’re taking the MRT a lot, buy an EZ Link card. This will allow you to breeze through the station entrances when taking the train. The train system is pretty expansive so you might want to take advantage of it. It can be a bit tiring, though, especially at interchange connections, when you’re walking from one line to another. Exchanging Currencies. The Mustafa Center at Little India has one of the best rates I have seen around Singapore. You might want to change money here. But if your budget isn’t that big (say USD 500), I don’t think the difference between here and the ones at the airport matters. You might lose whatever you think you could save in transportation just to get to a good money changer. GST Refund. Tourists in Singapore can actually claim refund on GST (Goods and Services Tax) paid for items purchased from establishments that are participating in the Tourist Refund Scheme. More info here.